So many people have made these gazing balls with great success! But a few have told me that their gazing ball fell apart after they made it. That's because they used the WRONG SUPPLIES. It is super frustrating to look for supplies and get the wrong thing. It's even more frustrating to spend all this time making something to have it fall apart. That's why using the RIGHT SUPPLIES is crucial! When people tell me they made these gazing balls and they fell apart, 99% of the time, they used the wrong supplies. I don't want you to waste your time and money! I want you to have a gorgeous, unique gazing ball for your garden. It is super super important to start with the RIGHT supplies to make this project AMAZING! Depending on where you use the gazing ball, you will choose different supplies. 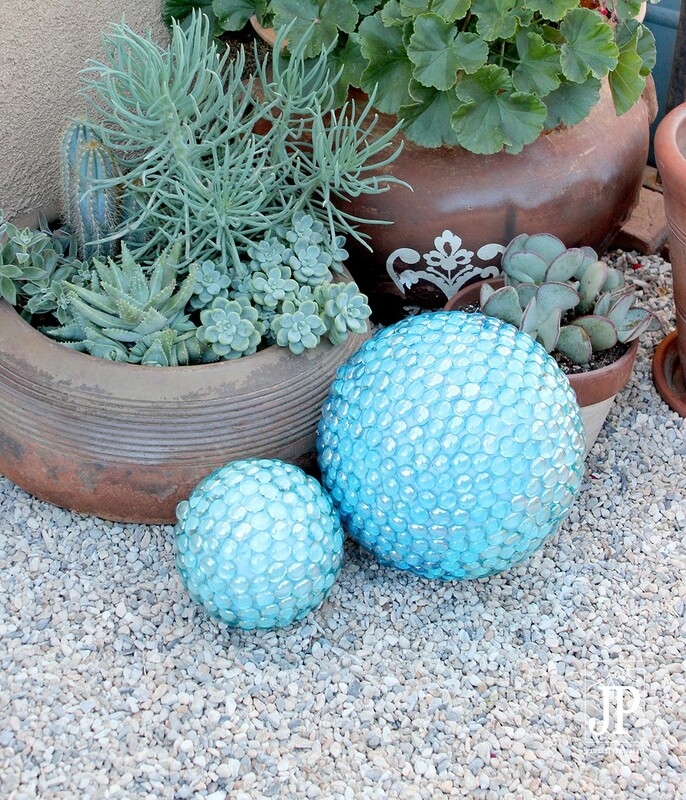 If you plan to display the gazing ball INSIDE the house or as temporary garden or party decor, you can use the hot glue method I share in the video. If you plan to leave the gazing balls outside for any longer than one day or you want to use them in extreme temperatures (colder than 65ºF and warmer than 75ºF), then you HAVE to use different supplies. If you use hot glue on an exclusively outdoor project, it WILL fall apart. CLICK the NEXT button to see the FULL SUPPLY LIST and an explanation about why each item is important.